I am new to mining. Just started few weeks ago. I started off with experimenting with different voltage, gpu core speed, and memory speed and I managed to get 24-25 Mh/s. I went a step further and modded the bios by adjusting the memory timing and I think I started to see 28-29+ Mh/s. But when I reviewed the log files and plotted out the average Mh/s, it around 26.5 to 27.5 Mh/s. I loaded them into an excel spreadsheet, grep the speed and counted the average. So I think that is pretty accurate. Anyway, I like to share what I am seeing on my mining stats. I hope the community of miner can give me some enlightenment. 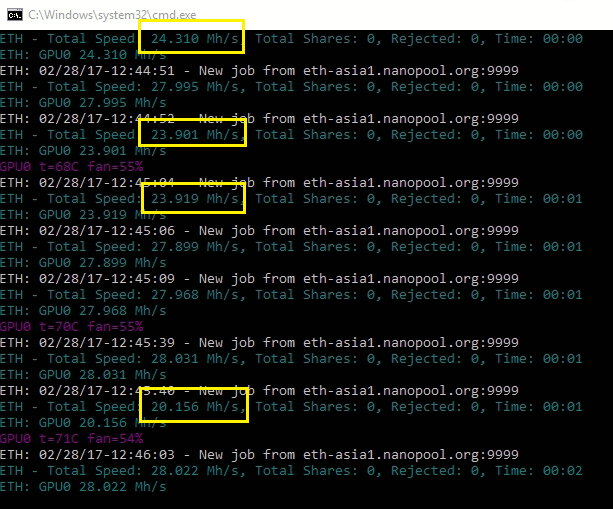 Sudden drops to as low as 20-23 MH/s. Inconsistent hash rates. I suspect something is wrong and I am out of idea on how to fix it. My best stable watt/hash rate setting is 1150/2150 @ 900 mV and that yielded average 27 MH/s. I thought the GPU was throttling due to insufficient power, so I raise core voltage 1.15V to eliminate the power factor but it didn't work. Is what I am getting a norm? It is driving me crazy. 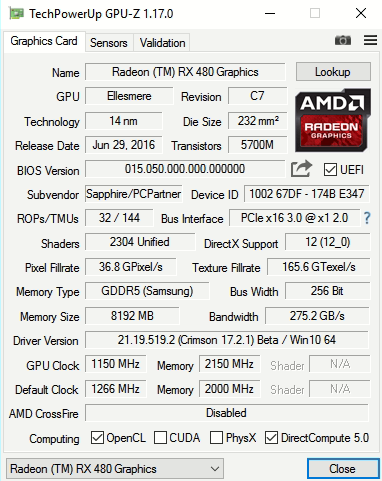 I am planning to buy more GPU but I don't want to commit until I resolve it. Can someone help? @theneogeo1982 I have rev up the fan to 2600 RPM and brought down the temperature to around 55C and I still see a huge fluctuation in hash rate. I monitored 18 sets of hashes and I still see 5 sets of hashes with huge drops as much as 3 to 6 Mh/s. @theneogeo1982 , you were right. It was the heat. I had to crank up the fan to much higher RPM to lower the GPU core temperature lower to around 48-50C then the hash rate became stable. Averaging 28-28.5 MH/s. 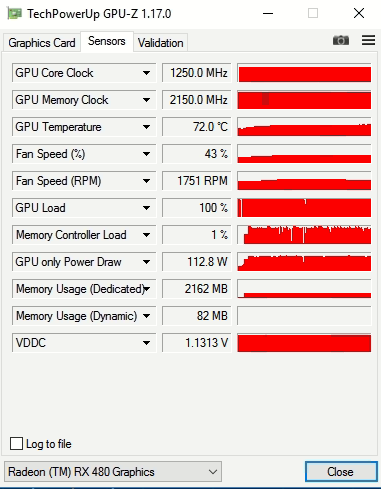 It was throttling due to heat related.